The Olympic Torch and the Norwegian men’s curling outfits aren’t the only things heating up the Winter Olympics. A new report warns that climate change could leave only 6 of the 19 previous host cities in a position to host the games again by the 2080s. Researchers looked at temperatures and snowpack in 19 previous host cities for February, when the Games are usually held (the Sochi Games in Russia begin February 7). Those two factors are crucial for the outdoor events, particularly Nordic and alpine skiing and of the two, temperature was by far the most important weather factor in determining a Games’ success, said Daniel Scott, a global change and tourism researcher at the University of Waterloo and author of the study. Scenes like this could be common at future Winter Olympic cities by 2080 according to a new report. “For all intent and purposes on the snowpack side, it’s 'can you make the snow?' ” he said. That’s most dependent on having temperatures below freezing and as the climate has warmed, host cities have had to adapt. Scott and his colleagues found that by the 2050s, average temperatures at the 19 previous host cities are projected to increase 3.4°F above the 1981-2010 average if greenhouse gas emissions are slowed, and 3.8°F if they continue on a high trajectory. Even the lower end of that is enough to knock Sochi out of contention to host again along with three locations in the Alps. The host of the last Winter Games, Vancouver, would be considered a marginally risky venue under the low emissions scenario, but would become too risky to host the 2050 Games under the high scenario. California's Squaw Valley, which hosted the 1960 Winter Olympics, would also become unviable. If high greenhouse gas emissions continued, only 6 of the previous host cities could host the Olympics again by the 2082 iteration. Average February temperatures across the 19 cities are projected to increase 7.9°F by then. Salt Lake City is the most recent venue that would pass muster. The other five include Calgary, Sapporo, and three locations in the Alps. Since their inception at Chamonix in 1924, the Winter Olympic have been at progressively warmer venues. The average February temperature for the four cities that have hosted the Games in the 21st century is 46°F while the average temperature in host cities through the 1950s is 32.7°F. Climate change has already had an effect on many venues. 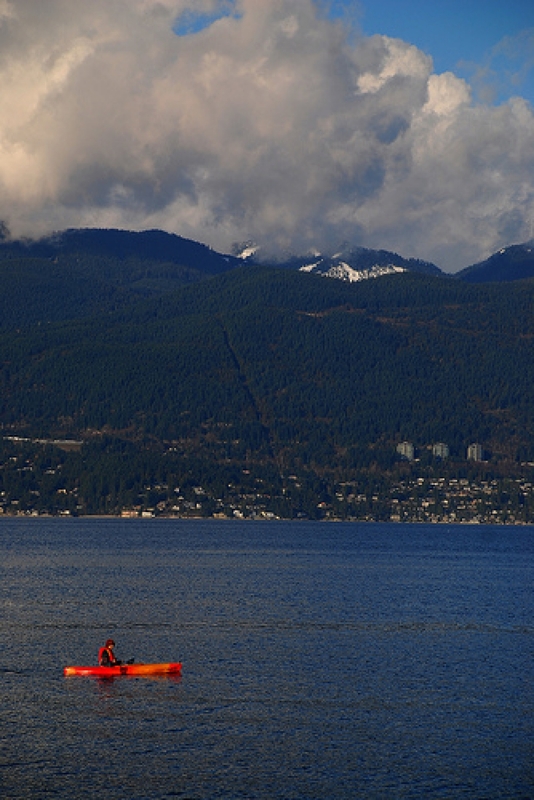 The area around Vancouver, for example, has warmed 4.4°F since 1948. The increase in average background temperatures coupled with a weak El Nino, which tends to bring warmer weather to the region, led Vancouver organizers to fly in snow to the freeskiing and snowboarding venue during the 2010 Games. It's technological advancements like these that have made it possible for cities that aren't, well, that wintry to host the Winter Olympics. Scott said the Olympics have been about these kinds of advancements since their inception. Every host city has carried some kind of weather insurance, though Scott said reading the final reports from each city reveals that none appear to have cashed in on those policies. A kayaker near Cypress Mountain on February 14, 2010. 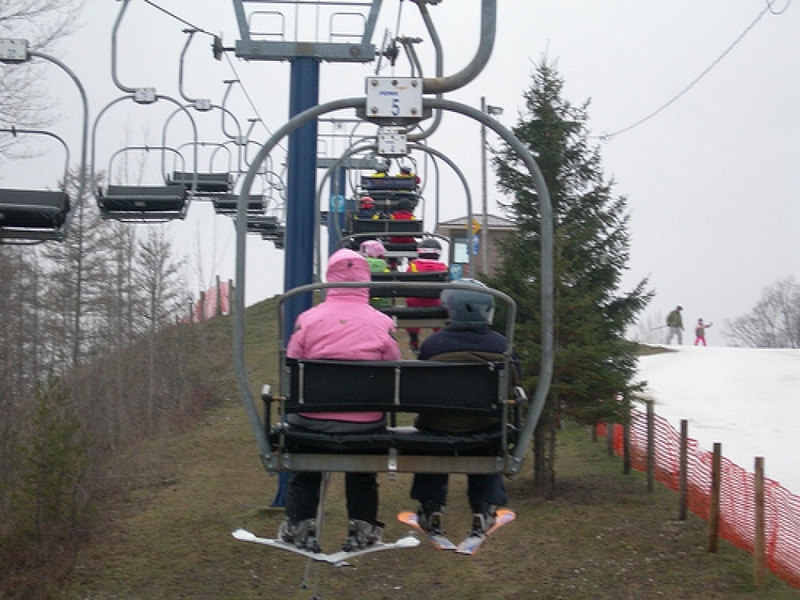 Cypress Mountain hosted the freestyle skiing and snowboard events during the Vancouver Olympics that year, but a lack of snow and balmy weather led organizers to helicopter in snow from high peaks. In 1952, hockey was moved to indoor rinks permanently with figuring skating and curling following suit in 1960. 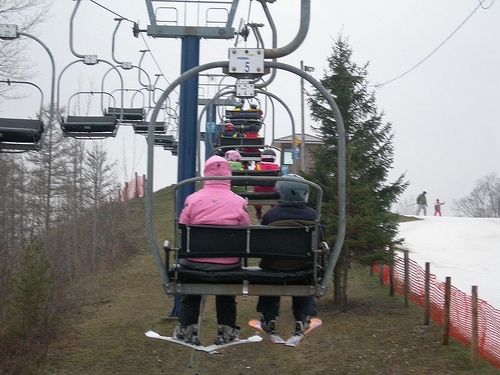 Refrigeration was added to bobsled tracks in 1972 and ski jumping ramps in 2010. Snowmaking for downhill skiing events became commonplace in 1992. This year, organizers of the Sochi Olympics have taken even more drastic steps to ensure the outdoor events go off without a hitch. “One thing Sochi is doing differently in their adaptation arsenal is they made snow last winter and stored it under tarps, in the same way some Swiss places have been protecting their glaciers,” he said. Scott also said there are additives you can mix with water to make snow at temperatures hovering slightly above freezing but the energy costs go up dramatically. Given that technological uncertainty, Scott said the next question he’s looking to answer is what other locations in a warming world will have ideal conditions to host future Winter Olympics. They’ll likely share attributes with Salt Lake City and Calgary, namely high elevation and inland with enough space to host the influx of athletes and spectators. Fairbanks 2054, anyone?